The management of the Uruguayan port of Montevideo is trying to provide incentives for local soya exporters to containerize consignments within the port. 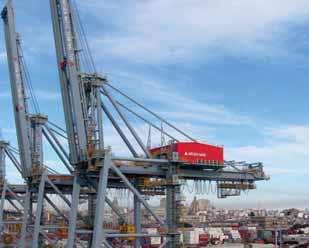 Due to local difficulties in respect of Argentinian transshipment container traffic, the port has lost substantial amounts of traffic, which it is trying to offset through the capture of new commodities. Those companies reverting to this new way of despatching soya have found it to be cost effective, although the stuffing of containers on initial consignments was done outside the port. As a means of adding value, the port authority is now seeking a dedicated area within the port boundaries where these activities could take place.